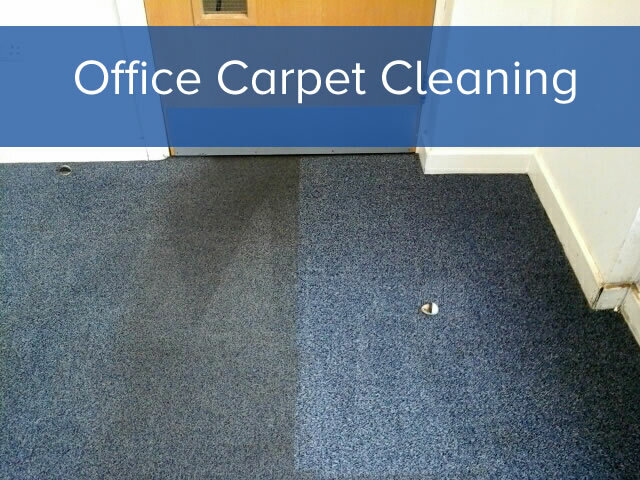 We recently received a phone call enquiry from a local business in Hampshire that were looking for a professional and deep clean of their office premises, including a heavily soiled carpet. Our first step was to visit the offices and prepare an advanced quote and deep clean option. As part of the overall office clean, there was a spot of particularly stained and soiled carpet. 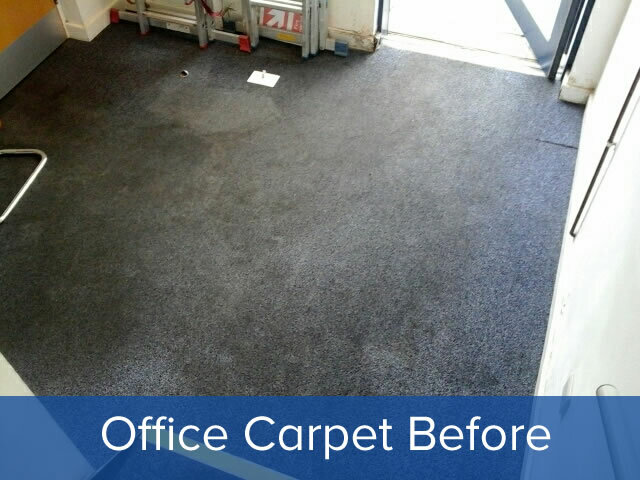 The business was assessing whether to replace the carpet or to clean. The first thing we did was to inspect and analise the cause of the staining. We were confident that we were able to clean the carpet to a very good, but not quite new state. With carpet staining it is important to understand how and why they are soiled. In offices the majority of staining is either traffic related from visitors and staff coming in with wet or dirty footwear; or office based stains such as coffee/tea spiils or other liquid products stored on site such as ink. 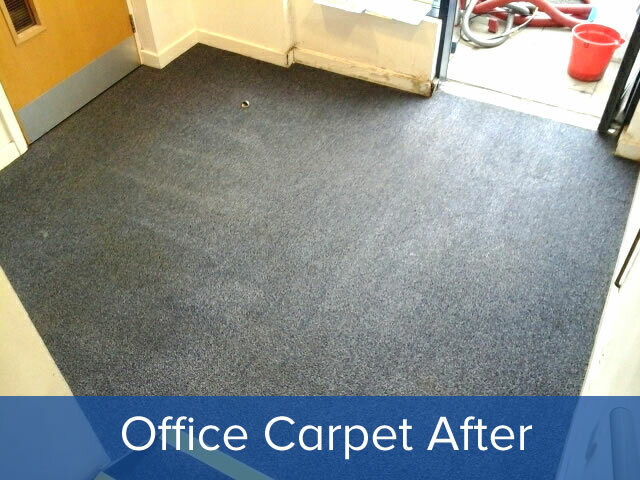 The picture above shows the results we can achieve with our professional office cleaning service for carpets. One side of the doorway has been cleaned, whilst the other side is left as we found it. As you can see from the before and after pictures of our carpet cleaning service we were able to remove the majority of staining and prolong the life of this office carpet. We are able to offer regular office maintenance cleans in addition to our deep cleaning services.